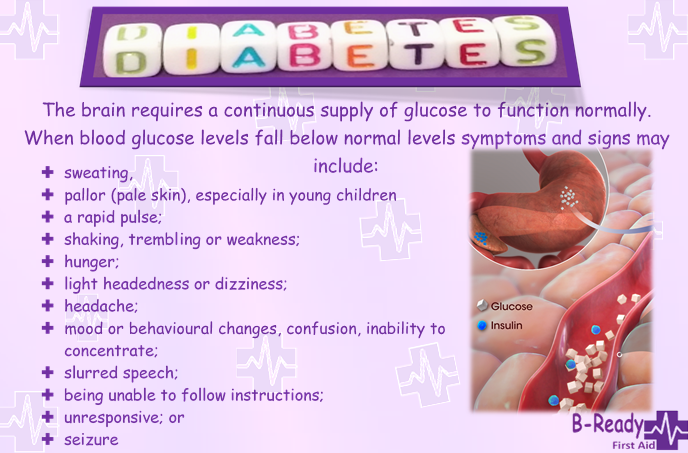 Keep your  on those managing diabetes! Are you trained in delivering one of these? 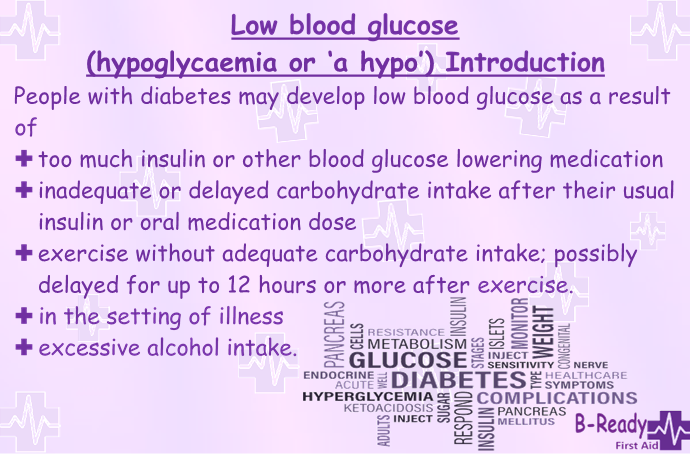 When blood glucose levels become too high or too low, people with diabetes (and some other people without diabetes) may become unwell and need first aid, or even treatment at a medical facility. 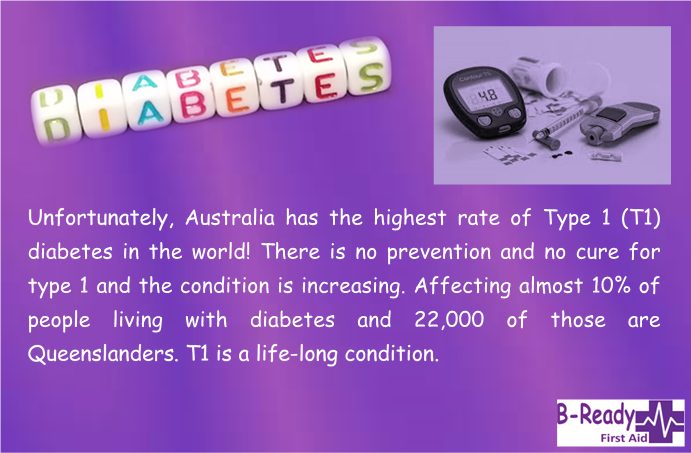 'It’s About Time' campaign aims to raise awareness about the importance of early detection and early treatment for all types of diabetes.Many Aussies are leaving it to long before getting assessed. 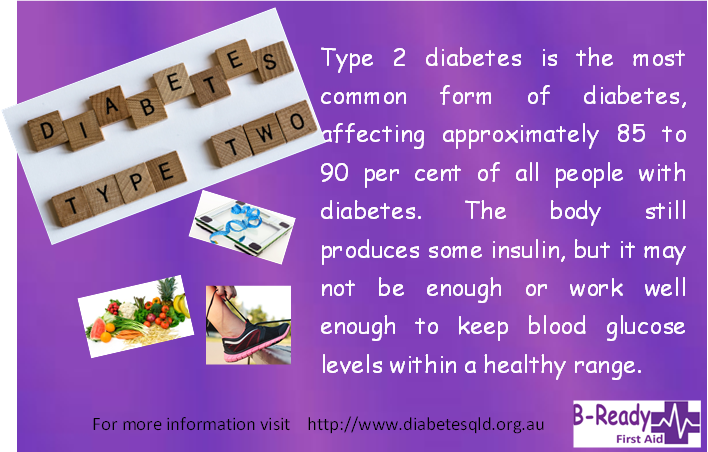 Lots more information can be found at Diabetes QLD or Diabetes Australia for anything you need to know or even for support! So glad that this is checked for women these days, imagine this happening in the past when little was understood and management was so different. 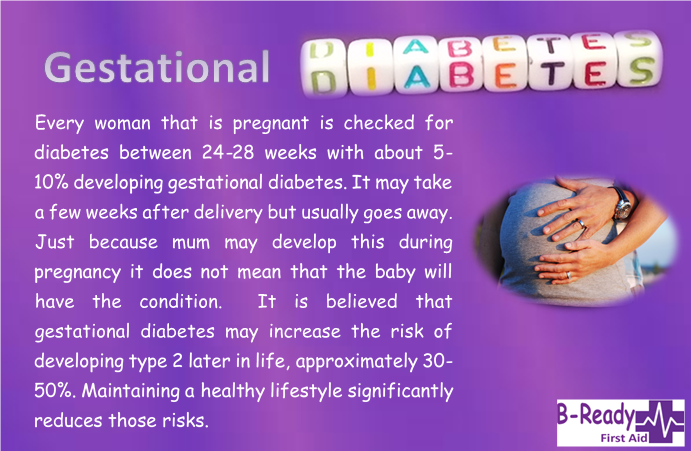 Here is a bit of information for us all. 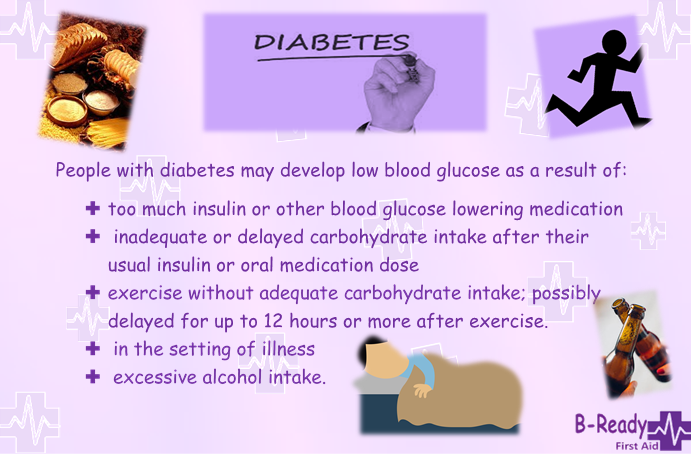 A healthy life style is essential. 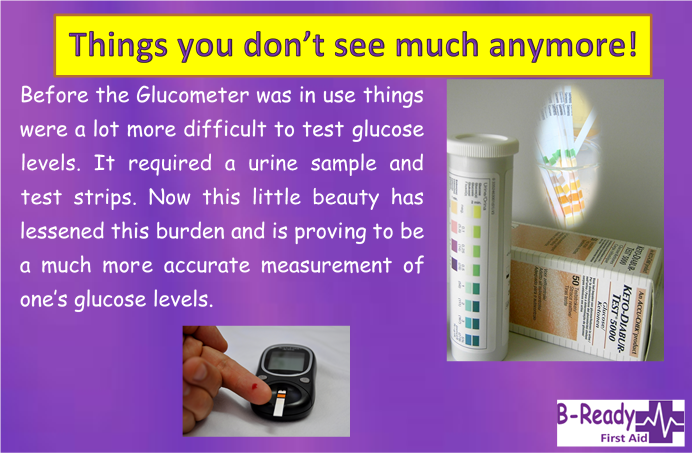 It's been a long time since we have seen test strips to measure Glucose levels! 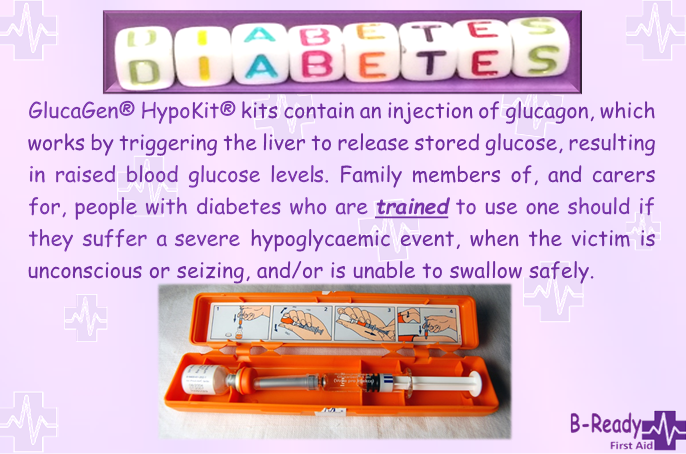 High tech tattoos to monitor your glucose levels, helpful for diabetics ? It’s happening check this out! What do you think? 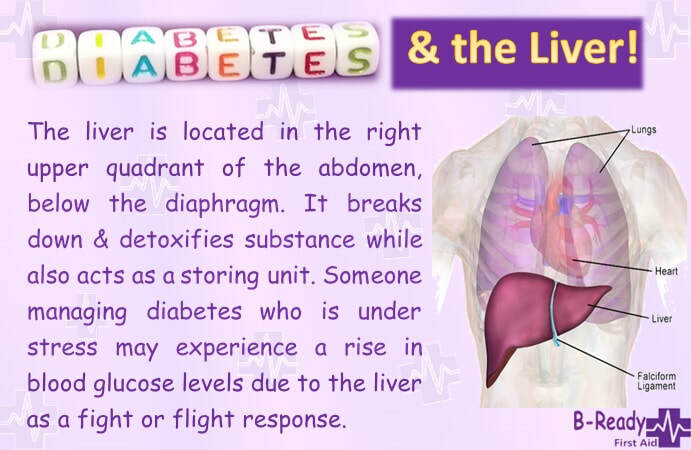 With these statistics we all must know someone with diabetes. Is it you or someone you know? 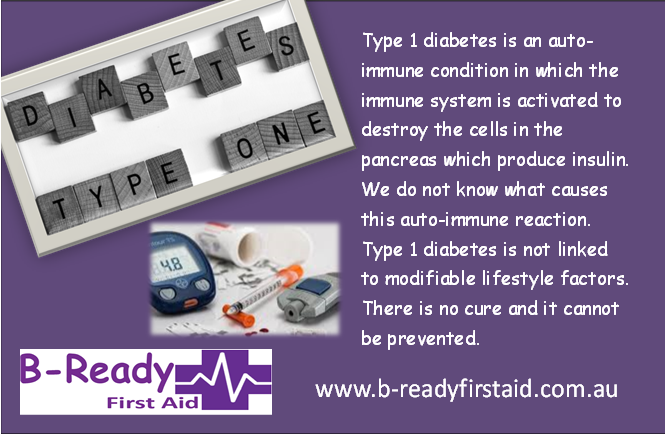 B-Ready First Aid Diabetes More Myths Busted! 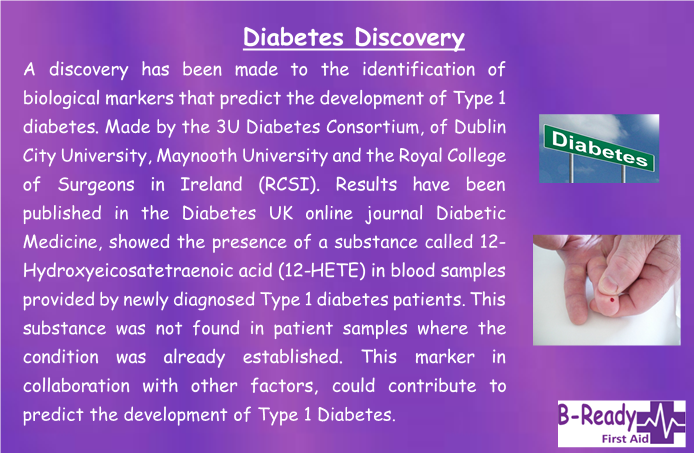 New discoveries from Ireland 2017 could see them develop a screening test for type 1 diabetes among the general population. Early diagnosis for these persons is critical to health.Wonder how long this might take? 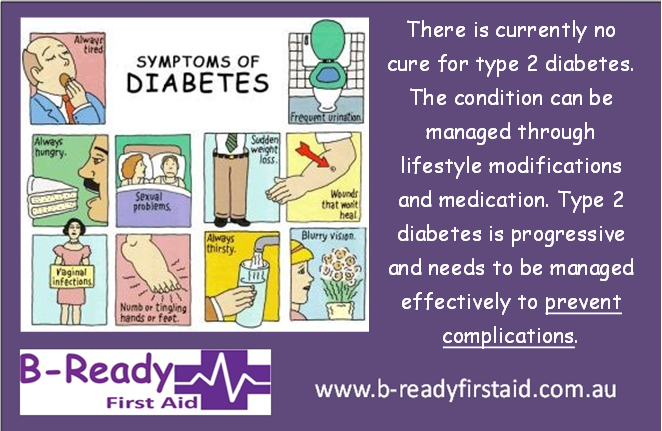 B-Ready First Aid :-Type 2 Diabetes Represents 85–90 per cent of all cases of diabetes ! 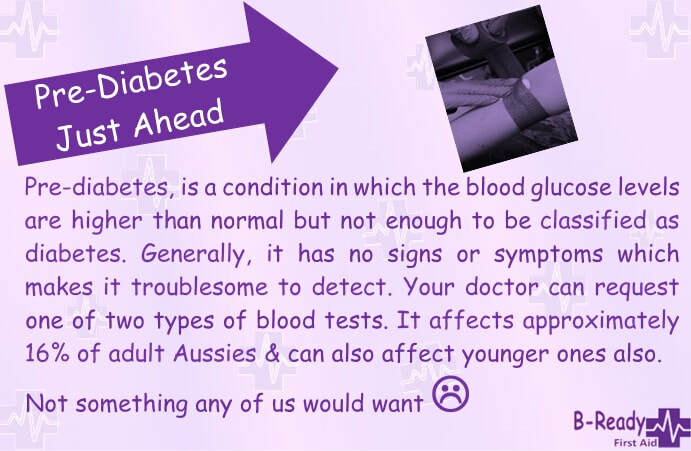 visit Diabetes Australia web site for more info and seek medical advise if at all concerned! 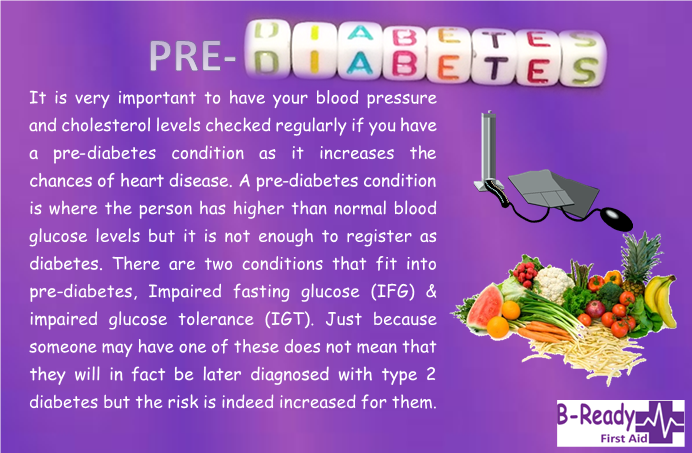 B-Ready First aid knows that it is important that good diabetes management habits are established as early as possible after diagnosis. 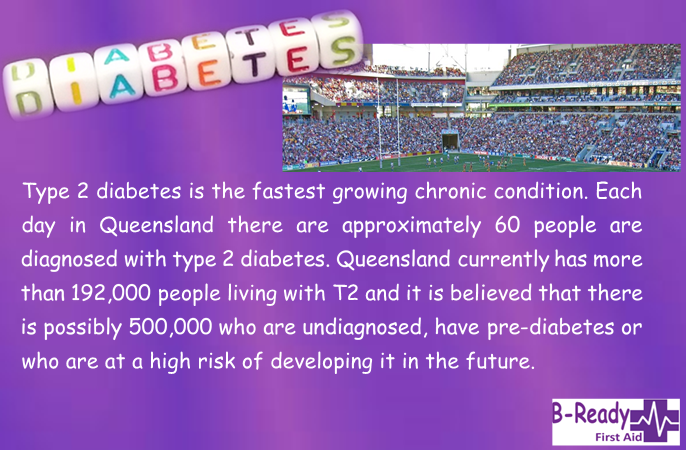 Diabetes Queensland supports people with type 2 diabetes from the time of diagnosis, and throughout their entire life.